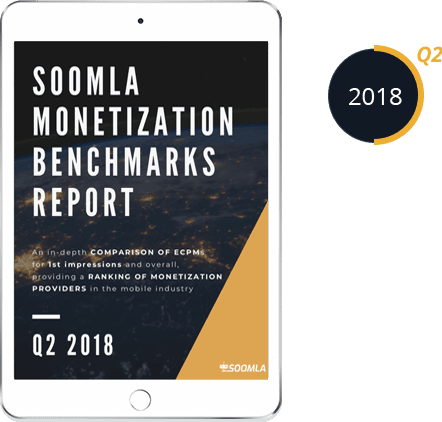 This is the second report in our Mobile Monetization Benchmarks series where we continue to strengthen the importance of monetization strategies focusing on 1st impressions. This study is based on information collected through the SOOMLA platform. We analyzed the activity of over 30 million users in 9 countries over the span of 3 months (October 2017 - December 2017). Together these users viewed 2.5 Billion impressions showing 17,000 advertisers in close to 450 apps.